The Carmen Blacker Lecture Series honours the memory and scholarship of Carmen Blacker (1924-2009). Each year a senior scholar will lecture on a theme related to Japanese religion or folklore. The Norwich lecture is held in conjunction with the Third Thursday Lecture series. 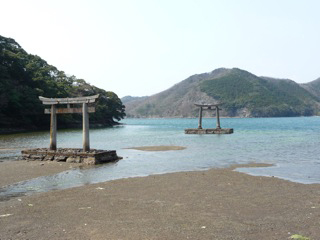 Few Japanese or tourists ever visit Tsushima, the conjoined islands lying between Japan and Korea. This is a shame not only on account of its unspoiled natural beauties but also because of its intrinsic historical interest. Up to the end of the nineteenth century it served a crucial role as a conduit for goods, knowledge and information moving between Japan and Korea and in the early twentieth century it is famous as the site of the great naval battle of the Russo-Japanese War in 1905. This lecture is not being sponsored by the Tsushima Tourist Authority but Peter Kornicki will endeavour to convey something of the appeal of these rugged mountainous islands with their fjords and beautiful islets before exploring their historical significance. Tsushima may lie on the margins of Japan, but it had a fascinating role to play in the transmission of knowledge to Japan. Professor Peter Kornicki studied Japanese and Korean at Oxford and completed his doctorate in 1979. He taught for some years at the University of Tasmania in Australia and at Kyoto University, where he was the first foreigner to hold an associate professorship in eighty years. He moved to Cambridge in 1985 and is now Professor of Japanese and Deputy Warden of Robinson College. He received the Japan Foundation Special Prize in 1992 and the Yamagata Bantō Prize in 2013, and in 2000 he was elected a fellow of the British Academy. He has worked for many years on the history of the book in Japan and has published catalogues of old Japanese books in Cambridge, Moscow, Lille and other places as well The book in Japan: a cultural history from the beginnings to the nineteenth century (1998). Recently he has been working on the transformation of Chinese texts in Korea and Vietnam as well as Japan and has published a study of the impact of Korean books on Japan in the Edo period. The lectures are generously supported through a bequest from Carmen Blacker and executors of her estate. Co-organized by the Sainsbury Institute and the Japan Society.